Salford, UK – 9 October 2013 - dock10, the MediaCityUK-based media services provider, announced today that the Blind Auditions stage of BBC One’s The Voice UK recently returned to dock10 for the second consecutive year. The production was filmed in HQ1, the 12,500 sq.ft. HD studio. The set-up and rehearsals ran for 10 days, with a further five near-consecutive days filming, and the set remained in-situ throughout. This year, in consultation with the production team, the studio landscape was changed around and new doors added in order to make things flow more smoothly in and around HQ1. Mark Senior, Chief Executive, dock10, said, "We were delighted to welcome The Voice UK back to dock10 again for the filming of the exciting Blind Auditions. MediaCityUK is a private campus and, as such, we have an unprecedented level of control which enables us to facilitate our clients’ requests without fuss." Following the announcement of the new coaching line-up, with Kylie Minogue and Kaiser Chief Ricky Wilson joining will.i.am and Sir Tom Jones in the big red chairs, dock10’s outstanding artist facilities provided everything possible to make the coaches feel at home. 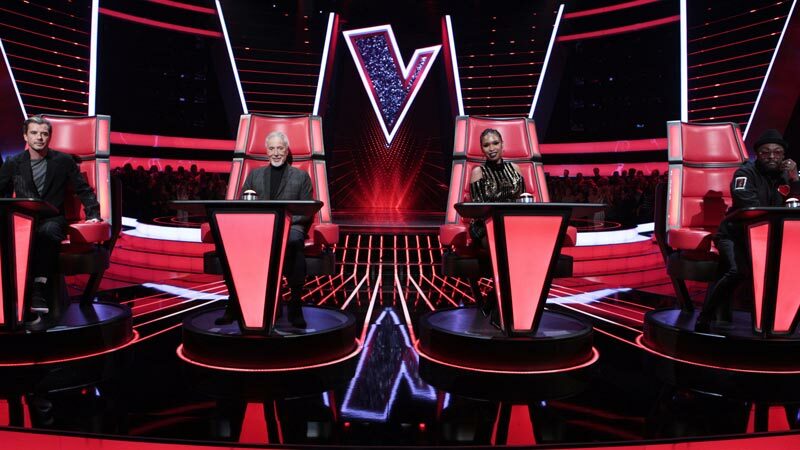 The Voice UK was also the first production to benefit from dock10’s new £1m installation of bespoke De Sisti lighting and scenery hoists in HQ1, enabling a faster build and break-down. The third series of The Voice UK, produced by Wall to Wall (a Shed Media Group company) is scheduled to begin on BBC One in January 2014.